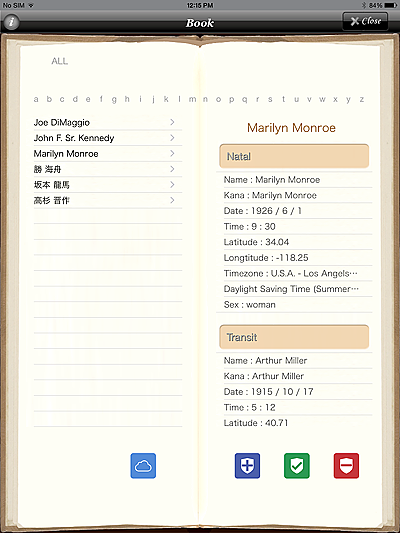 The Customer BOOK can manage information on your dearest people. 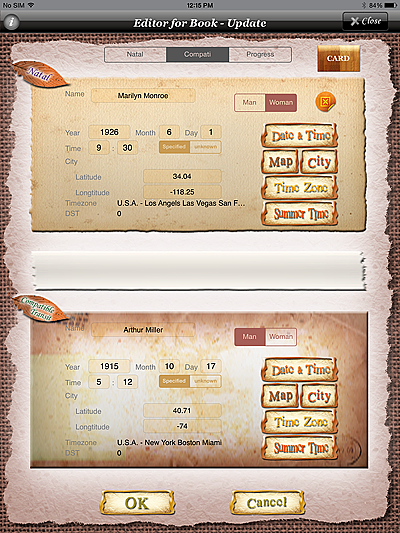 Information on the person who made a horoscope is automatically recorded by the Customer BOOK. A horoscope can be easily made by quoting it from the Customer BOOK. The Customer BOOK can have a look at information. Only no information to make horoscope, many information can be managed, for example, the clinical record of the fortune-telling diagnosis is made, Address, telephone number, and mail address, etc. 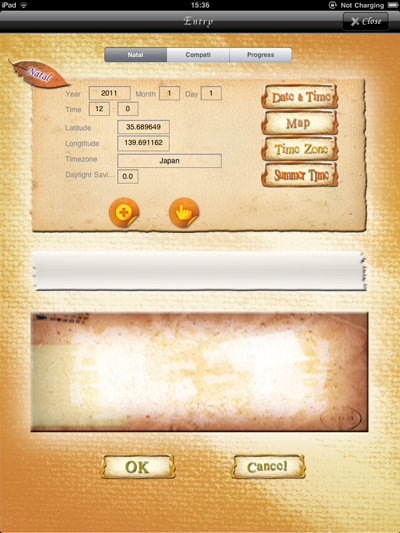 Fill in the clinical record by a free format. 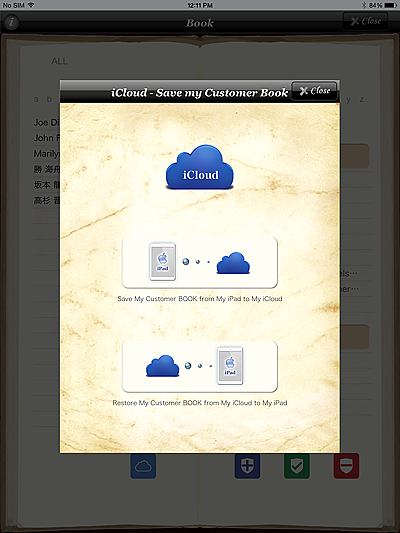 By using iCloud, the database of customers can be kept with iCloud. Model change and restore, even if you have deleted the app, you will be able to restore your database from iCloud. Horoscope can be easily made by quoting it from the Customer BOOK. As a result, Horoscope can be made quickly and efficiently, so a customer is not allowed to wait.